Klancy Miller is a writer and pastry chef deeply fascinated by all things French. After graduating from Columbia University and working in international development in French Polynesia, she earned a Diplôme de Pâtisserie at Le Cordon Bleu Paris. Klancy stayed in Paris to apprentice in the pastry kitchen at the Michelin­-starred Taillevent restaurant, and was later hired by Le Cordon Bleu Paris to join the recipe development team. During this time, Klancy was featured on Food Network’s Recipe for Success, in an episode about American culinary professionals in Paris. Now in New York and Philadelphia, she continues to write about food. She was a commentator on the Cooking Channel’s show Unique Sweets and has been a contributor to the online magazine Food Republic. When she’s not writing or cooking, Klancy takes hip­hop dance classes, throws waffle parties, obsesses about her next vacation, and searches for the perfect cookie. 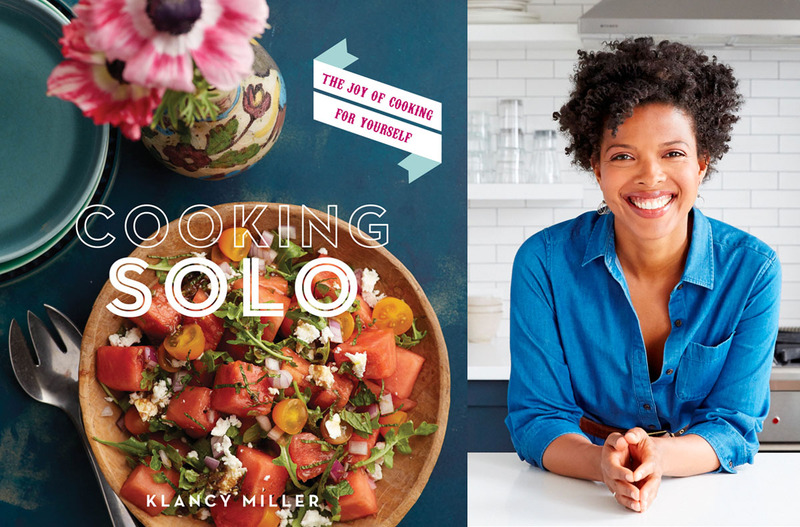 Her first cookbook, Cooking Solo, is out now.